Sometimes the simplest things are the best! My family loves this easy dinner dish and I like that I can make it a day ahead of time if I need to. Serve with salad and garlic toast! 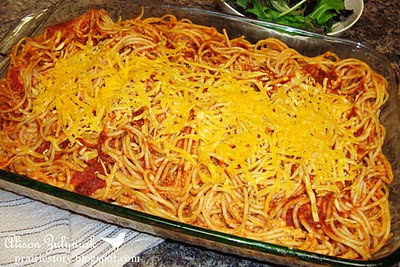 - In large bowl, combine boiled spaghetti, ground beef, sauce, and cheese saving 1/2 cup of cheese for top. 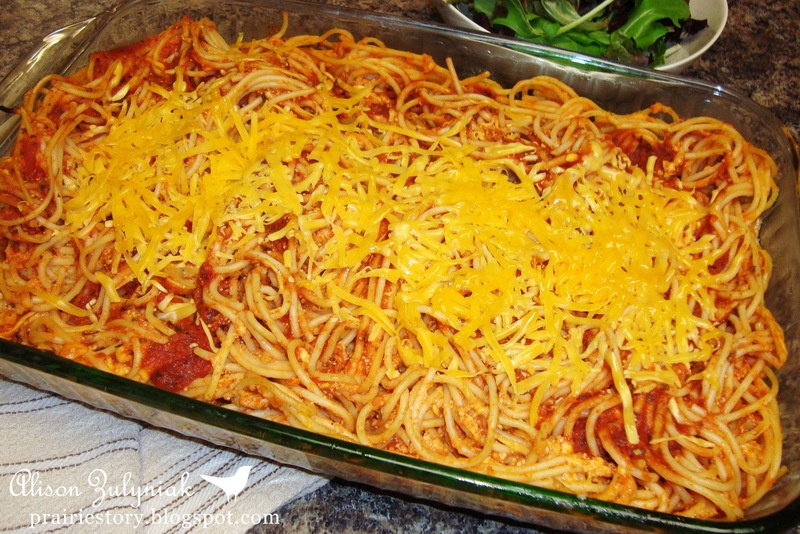 - Place mixture in a well greased 9x13 baking dish and top with remaining cheese. - Bake covered @ 350° for 30 minutes. I love baked spaghetti. I haven't made it in so long but this really makes me want to make it again. Thank you for another great recipe! 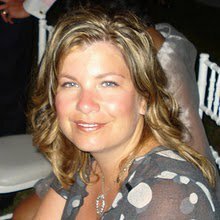 Thank you so much for sharing with the Momtrends community! I haven't made baked spaghetti since my kids were small -- a LONG time ago. Thanks for the reminder about this tasty dish. If the dire storm comes (and if we retain our power) this week would be an excellent time to make this wonderful comfort food.